Although we do not demand that our unfinished products are finished using the Sikkens system, we stipulate that only the use of a treatment affording at least the same level of protection as provided by the Sikkens system constitutes an acceptable alternative and consequently, it is only in these circumstances that any conditional Guarantee can be offered. The same “guidelines” as detailed above for External doors apply to Internal doors. 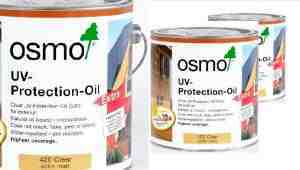 However, additionally we can also confidently recommend Osmo Door Oil as a suitable finishing treatment, as it has been comprehensively tested by Osmo and is specifically recommended by them for use on internal engineered products.